Adopt parallel carriage moving, with automatic lubrication system. The movements is stable and easy operate, two layer die head is optional. This series machine is widely used in food packing, pharmacy and cosmetic area. The machine controlled by computer wholly, easy for operation, working in reliable with high degree in automation. Good interchargeability for parts,multi-application for one machine. there are single station and double station for choose, can meet your requirement for output. 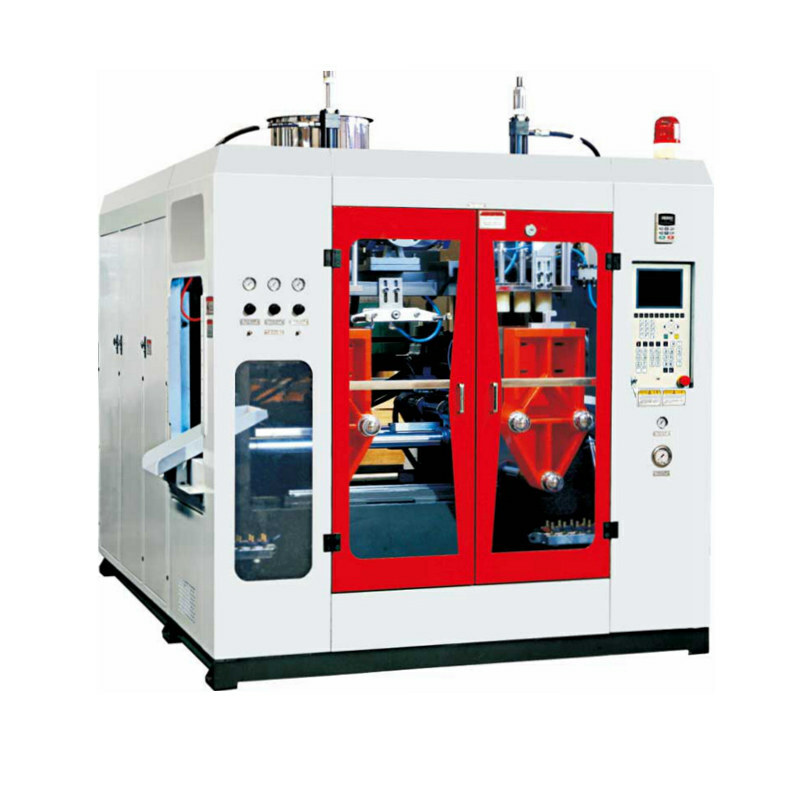 Can be equipped with single head, two heads, four heads, heads in two layers,transparent line and parison control head, can meet various requirements for products. Frequency converter motor driving, can meet the requirment of the rotation speed variation of screw for plastic blow technology, L/D ratio proportional screw, can process many kinds of material with strong plasticization. reasonable consumption, power-saving,quick actions, stable but advanced hydraulic system and pneumatic system.